This small food joint called Amma Bhawan in Amar colony market serves delicious dosas. 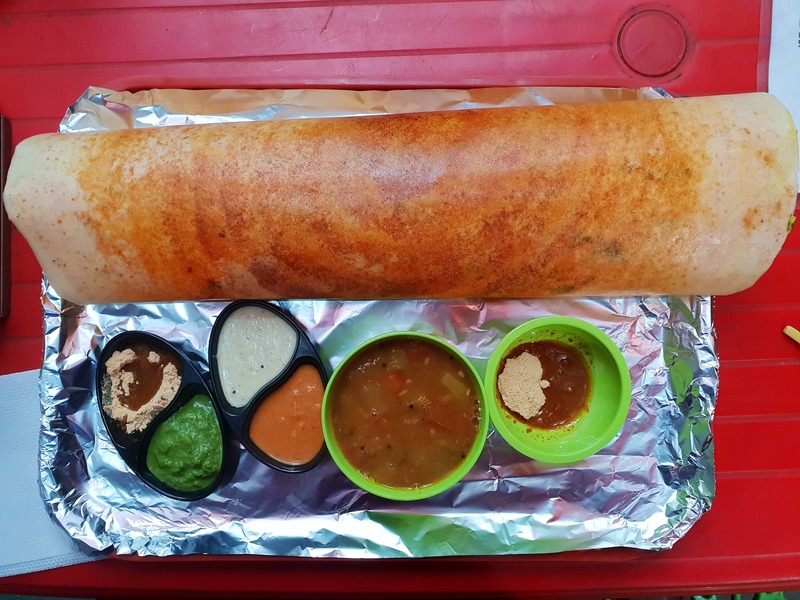 I am in love with their Mysore masala dosa, onion rava dosa and plain crispy dosa. Dosa is served with piping hot sambhar which is full of spices and packed with flavours. Chutneys are also colourful and full of flavour. Their idlis are also worth trying- fluffy soft and vada sambhar is a total treat. All in all this place is fabulous to score a delicious south Indian meal at pocket-friendly prices.